Zofran (a.k.a. ondansetron) is a prescription drug originally intended to help patients undergoing chemotherapy deal with debilitating nausea. However, GlaxoSmithKline, the manufacturer of Zofran, pushed the drug as an off-label treatment for women struggling with morning sickness. What these pregnant patients did not realize is the serious risk of birth defects associated with Zofran use. 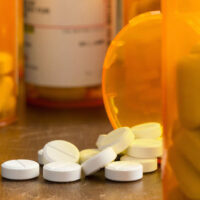 Unfortunately, the drug has recently come under fire for being linked to serious birth defects. For example, the Toronto Star released a report detailing the fact that at least 20 women who had taken Zofran for morning sickness suffered birth defects and other serious side effects. Zofran has been linked to babies being born with deformities in their mouth, heart murmurs, jaundice, and holes in their heart. Zofran is classified as a “serotonin 5-HT3 receptor antagonist.” Serotonin is a chemical produced in your brain that relays information between the cells in your nerves. Serotonin is found in your lower gastrointestinal tract. It assists in the movement of your intestines. The 5-HT3 receptor is the specific protein molecule that receives serotonin signals. As mentioned, the original objective of Zofran was to help chemotherapy patients with nausea and the U.S. Food and Drug Administration has not approved Zofran for the treatment of morning sickness (nor have any studies been performed to test the safety of the drug). Despite these facts, the prescription drug gained popularity (and thereby generating more profits for GlaxoSmithKline) as “off-label” usage for treating morning sickness. Off-label usage means doctors are prescribing the drug for the treatment of a condition, or conditions, outside of its original purpose. You may be surprised to learn that there is no law expressly prohibiting doctors from off-label prescriptions. In fact, many prescription drugs are prescribed this way. Nevertheless, it can be dangerous, especially due to the lack of oversight on how and what types of conditions can be treated via off-label usage. Multiple studies have shown that Zofran can cause an increased risk of babies developing cleft palate. Additionally, a team of researchers found that women who took Zofran while pregnant were twice as likely to have a child with a heart defect. The United States Department of Justice ordered GlaxoSmithKline to pay a $3 billion fine for using illegal marketing tactics to promote Zofran and for giving kickbacks to doctors. Specifically, the company was trying to get doctors to prescribe Zofran for unapproved uses to women who were pregnant. The pharmaceutical company pled guilty to committing fraud and failing to report safety data. This is the largest settlement for alleged health care fraud in United States history. Despite this jaw-dropping settlement, GlaxoSmithKline has never officially admitted to doing anything wrong. This is why they need to be held accountable in court through jury trials and civil settlements. A message needs to be sent that this type of egregious corporate conduct is unacceptable. Do not take on a pharmaceutical behemoth like GlaxoSmithKline alone. Level the playing field by retaining an experienced and skilled law firm like the Miami office of Alan Goldfarb, P.A. Our legal team will advise you and your loved ones of your legal options. Contact one of our attorneys to schedule a free consultation.